As a student of literature, Roth ought to know better. If he really wants his papers destroyed, he needs to do it himself, before it’s too late. There’s no better way to ensure your papers’ eventual publication than to entrust their demolition to your friends. On his deathbed Virgil asked that his manuscript of the Aeneid be put to flames. Thomas Hardy requested that his wife Florence destroy all his papers, but she saved his writer’s notebooks from the fire. After Kafka’s death in 1924, his friend and executor Max Brod discovered a letter: “My last request: Everything I leave behind me . . . in the way of diaries, manuscripts, letters (my own and others’), sketches and so on, to be burned unread.” Brod quickly published three of the manuscripts: The Trial, The Castle, and Amerika. Countless other authors—including Philip Larkin and Vladimir Nabokov—have begged, conspired, and even legally willed that their troves of notes, letters, and manuscripts accompany them out of existence; instead they were collated, bound, and shipped off to bookstores. Charles Dickens understood how this works: He periodically built massive bonfires in his yard to destroy his private letters and journals. Executors tend to err on the side of literary legacy, preserving and protecting even when expressly instructed to destroy. It’s an understandable decision: adding paper fuel to the funeral pyre is a permanent decision, one not to be taken lightly by an addled, often grieving executor. After all, to ask one of literary history’s most famous counterfactuals: What if Brod had heeded Kafka’s wishes? So it’s strange that, knowing (as he must) the complicated history of archival destruction, Roth has made such a request. Roth has already cemented his reputation as one of post-war America’s finest writers. Portnoy’s Complaint and American Pastoral alone have guaranteed him remembrance in the hall of literary greatness. With the exception of the Nobel—a prize which has eluded him, though every year the public loudly promotes him as the favorite—Roth has won nearly every literary award in existence and dominated the American fiction scene for over fifty years. There should be no worries that Roth will be forgotten. But perhaps for Roth, remembrance is not enough. Now that he is no longer producing new material, he must turn his attention to reshaping the material that is already in existence, honing and crafting his legacy so that it reads according to his precise wishes. Roth, who once fervently rejected biographers’ advances, has signed an agreement with John Cheever’s biographer, Blake Bailey, in which Bailey may use the archives as he sees fit after Roth’s death, but then must turn over all papers to his executors after his biography is completed. It’s a deeply control-oriented arrangement. 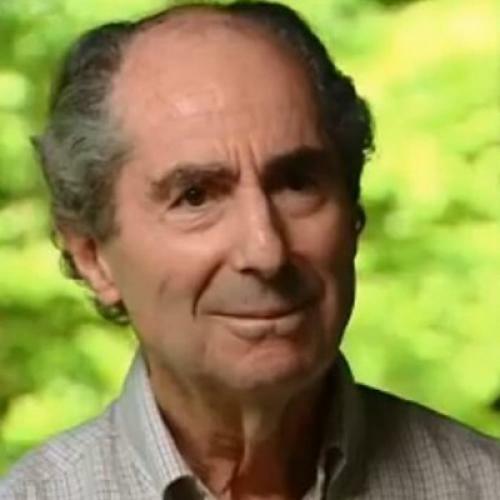 The careful selection of the biographer after years of disdainful remarks about the form and the publicly-issued fear that his papers will be left to lie around are signals to the public that Roth does not want his image left to future writers and publishers to decide.